Olympian Matt Welsh OAM has joined Kidsafe Victoria to help save lives over summer at the launch of their Safe Barriers Save Lives campaign, in collaboration with SPASA Victoria. The safety campaign calls on all pool and spa owners to check the safety and compliance of their pool or spa barrier when they change their clocks at the beginning of daylight saving time on Sunday October 7, 2018. SPASA Victoria CEO Chris Samartzis says that while safety barriers can be effective in reducing the risk of drowning incidents, evidence suggests that a large number of drowning deaths are the result of barriers that are faulty or non-compliant with Australian standards. 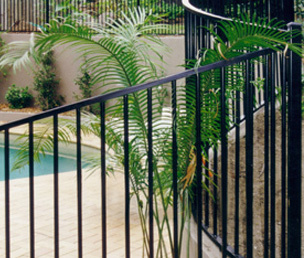 “Pool and spa barriers are exposed to the extremes of weather all year round which can lead to rust, loose or missing bolts or screws, and wear and tear over time. 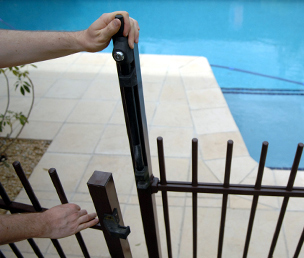 It’s critical that pool and spa owners regularly check and maintain their barriers to ensure they are safe and fully compliant,” Samartzis says. “Common faults or non-compliance issues include gates and doors that are no longer self-closing or latching, gates that are propped open and climbable objects near the barrier,” says Kidsafe ambassador Welsh. Meanwhile, mandatory barrier inspection legislation has passed the Victorian parliament. 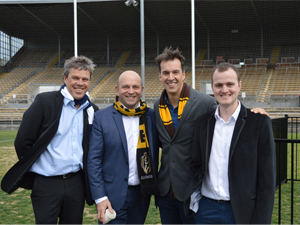 The Victorian Government’s decision comes after a long-running campaign by SPASA Victoria and other industry stakeholders and was passed with the support of the opposition and the community.